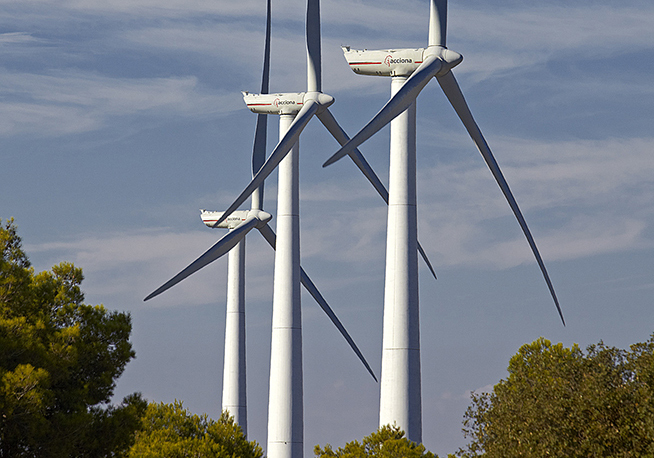 48-MW wind farm with 16 AW109/3000 wind turbines. 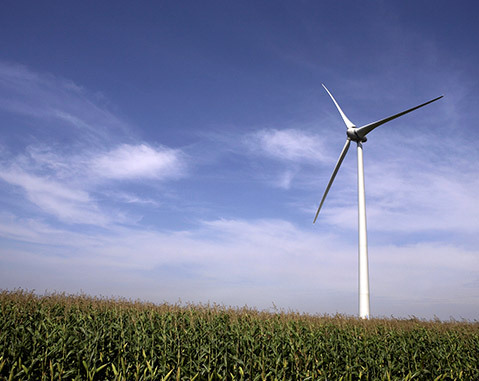 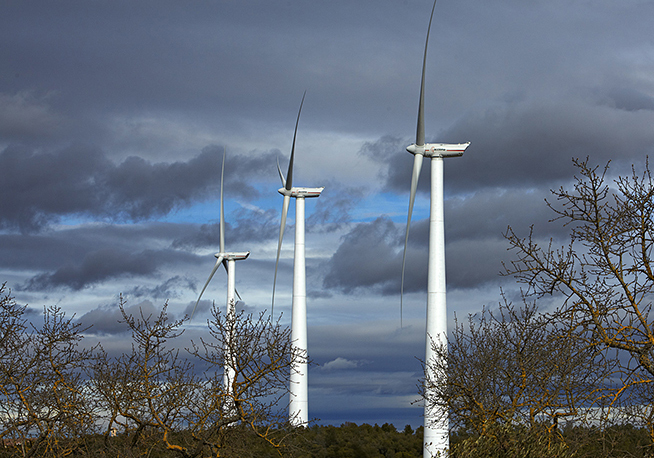 Connected to the grid in 2013, the Els Escambrons (Lleida) wind farm was the first commercial wind farm installed by ACCIONA Energía with AW3000 wind turbines, the 3-MW platform by ACCIONA Windpower that has achieved great success in many markets. 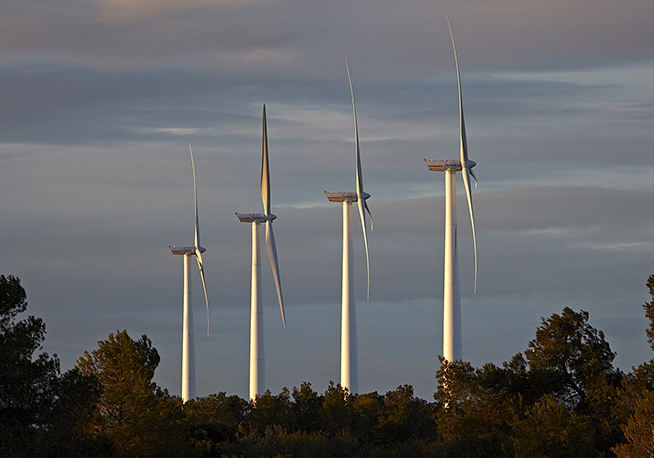 It comprises 16 turbines mounted on 100-m high concrete towers. 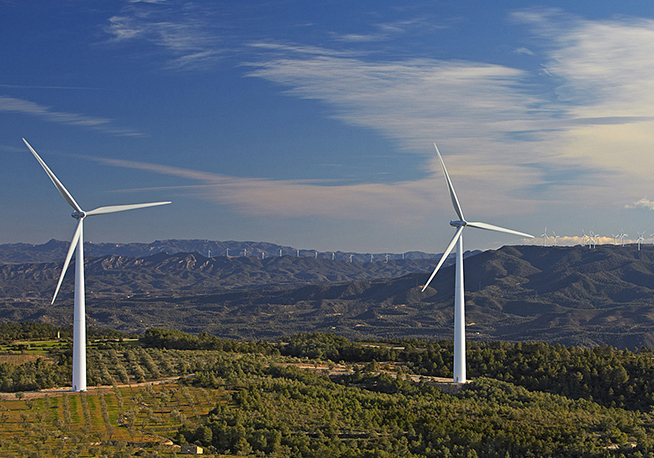 First commercial wind farm using AW3000 turbines. 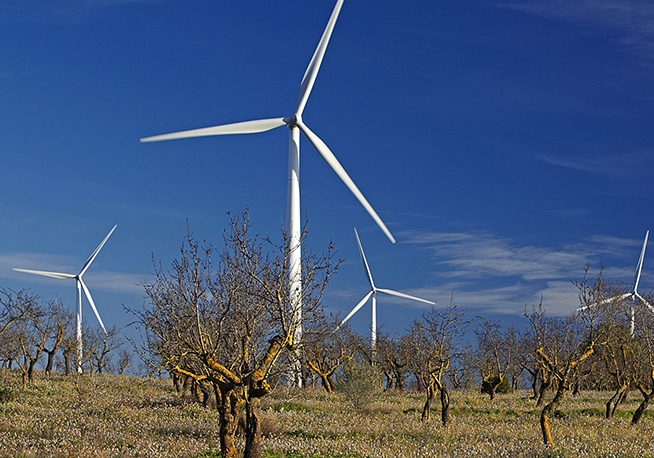 118,000 tonnes of CO2 emissions prevented every year from coal-fired power plants. 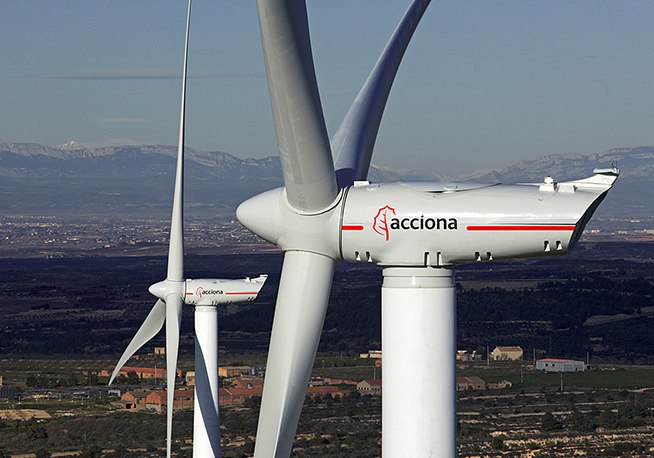 One of ACCIONA's first installations to use concrete tower technology.